What’s the best and fastest method to really master lock picking? The conventional wisdom is that it’s best to start simple – with only one or two pins – and slowly add pins one at a time as you are able to consistently pick the lock at each step. When you lift a pin with your pick, the goal is to have that pin catch at the shear line. For more information on how to pick locks, visit our How to Pick Locks guide here. The slight “click” felt when this happens is very slight. This happens with a movement of a few ten-thousandths of an inch. It’s barely perceivable and even seasoned lock pickers often miss it. This tiny bit of feedback from the lock is easier to feel with only two pins in the lock. The amount of movement possible by the plug is more – not a lot more; but when we’re talking about a few ten-thousandth’s of an inch every little bit counts. The other value in starting a lock with only a few pins and adding pins slowly is that you get some early wins. We’ve heard back from our customers on several occasions that our lock is difficult to pick with 6 pin stacks. The lock we use has close tolerances. Starting with 6 pins can be frustrating and can take a long time to learn. It’s hard to have a good time learning something new when it’s frustrating. Most locksmiths will tell you to use powdered graphite lubricant in any lock. Powered graphite is made up of very tiny sheets of carbon molecules that slide easily across each other. The advantage of graphite is that it is not sticky like greases and oils and therefore will not attract dust. Oily dust will gum up small parts like lock pins. The problem with using powdered graphite is that graphite is a black powder that gets on everything and is very hard to clean up. We don’t suggest using powdered graphite in a lock that you are going to frequently disassemble because handling graphite covered parts is going to make a mess. The next option is to use a lubricating oil. 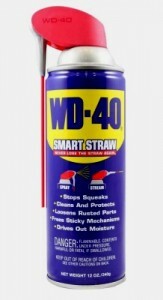 WD-40 is a probably the most familiar home shop lubricant and will do a good job of lubricating locks without the permanent black stains in the sofa. The problem with oil is that it’s just so darn oily. After changing pin configurations a few times, you’ll end up with oil stains on the sofa instead. Why do spool pins make locks harder to pick than regular pins? 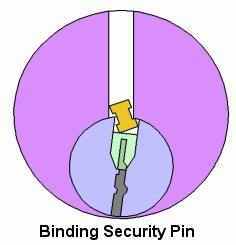 Because the narrow waist of the pin will get stuck at the shear line binding the lock so it can’t turn any further. you’re almost there once the spool pin gets bound. You can feel this happening because the lock plug will rotate slightly when it happens. Unlike the barely noticeable rotation and click when a regular pin reaches the shear line – the binding of a spool pin is much more obvious. The rotation is enough that you can see the plug has turned a little – but just a little. So what do you do when a spool pin has bound and the lock rotates that tiny bit before becoming helplessly stuck? 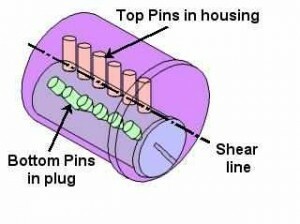 Continue to lift the spool pin slowly while letting the lock rotate backward as the pin is lifted. If you’re slow and careful enough (and lucky enough), the spool pin will reach the shear line without the other pins dropping back to the locked condition. If you’re not lucky enough and some of the other pins drop, that’s okay. Now that the spool pin is at the correct height, you can continue to single-pin-pick the lock normally. Spool pins are tough to overcome but they are a common feature of many different locks today and the hobby lock picker will come across them fairly regularly in the real world. 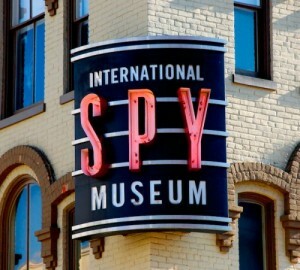 We had an opportunity to visit the International Spy Museum in Washington D.C. last week. The museum was definitely worth the visit if you’re ever in the nation’s capital. It’s only a couple of blocks from Chinatown which makes it convenient for an interesting day of spy swag and lo mein. One surprising thing about the spy museum: no lock picks in any of the exhibits. There were watch cameras from the 1950’s, James Bond cars, glove and lipstick guns, and cypher machines – but not one lock pick. I thoroughly enjoyed the museum but was hoping to see some covert entry tools represented. The Ultimate Practice Lock is made from Brass. Brass is a great choice for high quality lock cylinders because brass is self-burnishing. As brass keys slide across brass pins thousands and thousands of times, the brass surfaces polish each other instead of grinding away at each other. If locks, pins, and keys were made of iron or steel, repeated use would wear all parts. This happens less with brass. Brass does have one downside – brass will corrode and loose it’s shine. Fortunately, the solution is easy. The old standard for keeping brass polished to a shine is Brasso brand brass polish and it does work great. 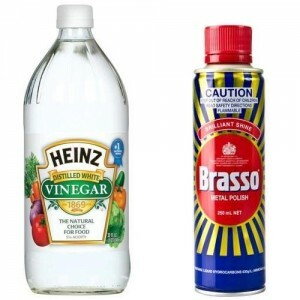 But if you want a quick solution to tarnished brass, you can soak your lock in white vinegar for a couple of minutes and the dirt and corrosion will disappear.